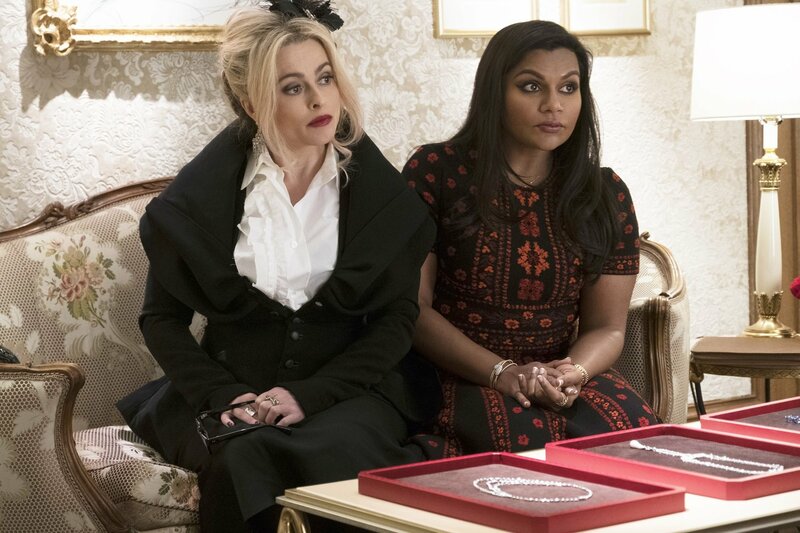 Mindy Kaling is a national treasure. 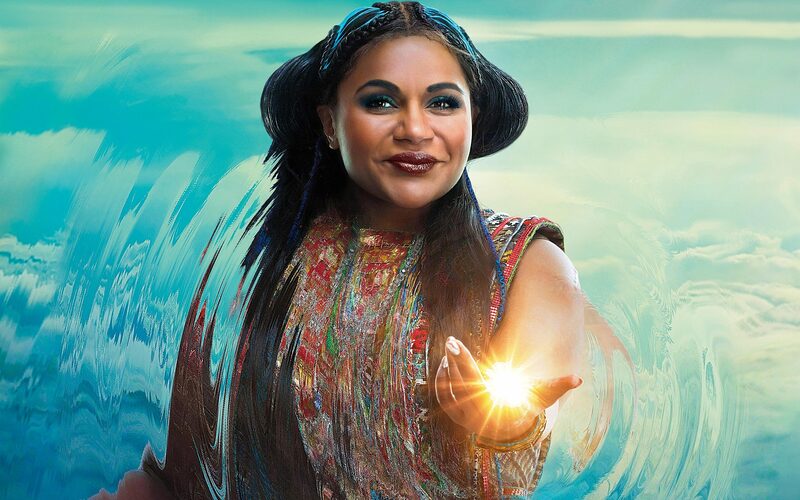 She started on TV as a writer for the mega-hit The Office, created her own hit show with The Mindy Project, and has propelled into the Hollywood A-List, voicing characters in Disney films and starting alongside Oprah and Reese Witherspoon in Ava Duvernay’s A Wrinkle In Time. When you look at the breadth of her work across television, films, and her best-selling novels, it’s unsurprising how that she’s been such a wild success. Now she has a bad-girl turn in Ocean’s 8. 1. She learned Hindi for the role. Usually playing over-the-top and over-confident characters, this is Mindy’s first real turn at playing a shy good girl. “I never get to play a criminal, so this was so fun,” she told NOC. 3. She’s hopeful about the future of diversity in Hollywood. 4. She wants to star in a kids movie. Mindy is a new mom. But being a mother hasn’t changed her idea of her career path. Mindy told NOC, “Being a mother hasn’t really changed how I view the roles I take on. I think because I mostly create my own parts. I do think it would be fun to be in a great, magical kids movie. Too bad the Harry Potter’s are all done!” Hmmmm, what about a Mrs. Who standalone? 5. Her secret skill is a holiday helper. 6. Mindy loved her dress designer. 7. Her favorite moment onset involves Sandra Bullock and cocktails. 8. 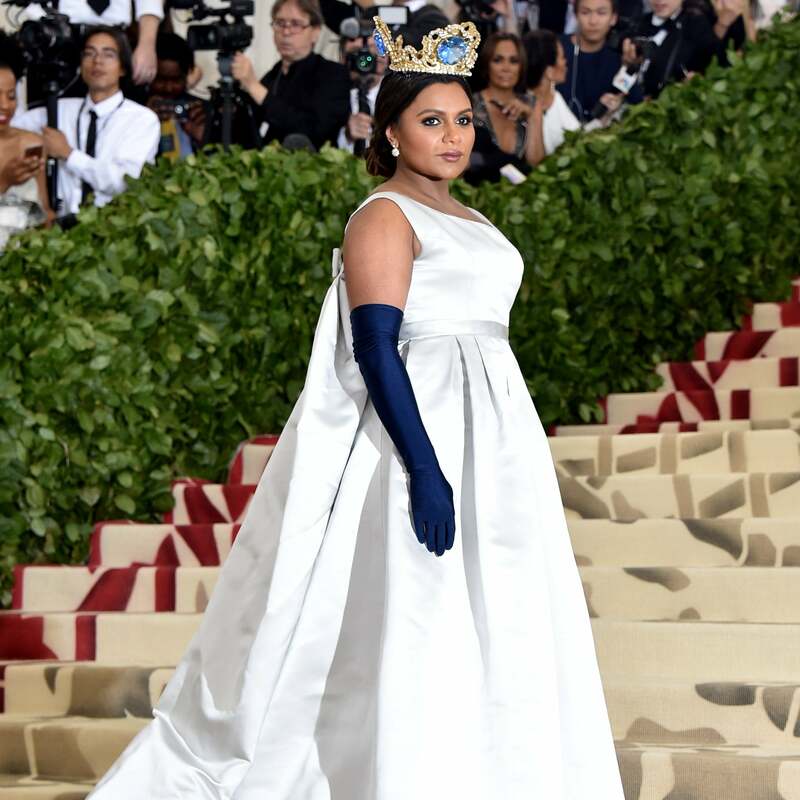 Mindy actually goes to the Met Ball. This last one is really just an excuse to show off her stunning costume at last year’s Heavenly Bodies Gala. Brava! Ocean’s 8 is in theaters now nationwide.